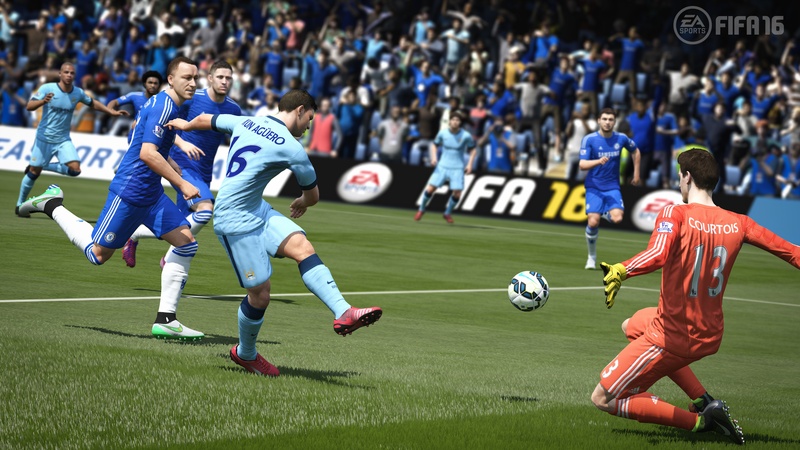 E3 2015 - Electronic Sports showed off EA SPORTS FIFA 16 gameplay, featuring innovative new features that will allow gamers to control the entire football pitch. Gamers can expect a "balance, authentic, and exciting football experience" that will give us the chance to play the way we want to. "Whether fans prefer short and precise passes through the middle, or getting it outside and whipping in crosses, the beauty of FIFA 16 is that it offers fans the freedom to play their way and find success on the pitch," said David Rutter, VP and GM of EA SPORTS FIFA. EA SPORTS also includes 12 Women's National Teams, the first time that women's teams have been included. In addition, players will be able to make use of the FIFA Trainer that is able to make recommendations to improve play. FIFA 16 will be available for the PC, Sony PlayStation 4, and Microsoft Xbox One on September 22.